Designed with accessibility in mind, Roost on Wolff opens doors within the booming West Colfax and Sloans Lake neighborhoods. It is financially accessible and only 2 blocks from Sloans Lake. 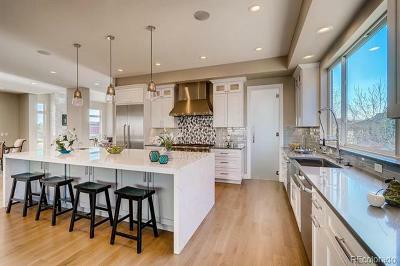 Short Walking Distance to Sloans Lake, the shops and restaurants in the St. Anthony's redevelopment and light rail. Whatever your need, work or play, Roost on Wolff makes it possible. All units have generous rooftop decks, 18 out of 19 units have a two car garage and one unit even has private elevator access. The designer-selected finishes, complete with contemporary cabinets, quartz countertops and Kitchen Aid stainless steel appliances bring it all together, not to mention the uncompromising quality of construction, mountain views and downtown views. Taxes and Party Wall management fees are estimated.